For fans of a certain age, Gabriel Batistuta’s exploits for Fiorentina made him a hero back in the days of Football Italia. In a stunning career that saw him net 200 goals in Serie A and 54 times for Argentina, he ascended to legendary status before his career was cut down by a knee problem that forced him to have screws inserted into his leg due to a lack of cartilage and tendons. Despite the crippling injury issues, on Monday night Batistuta took part in an Italy vs Rest of the World game as he was handed an honorary citizenship of Florence. “I’ve always considered Florence as my girlfriend. I don’t have to explain my love for this city,” La Nacion quoted him as saying. 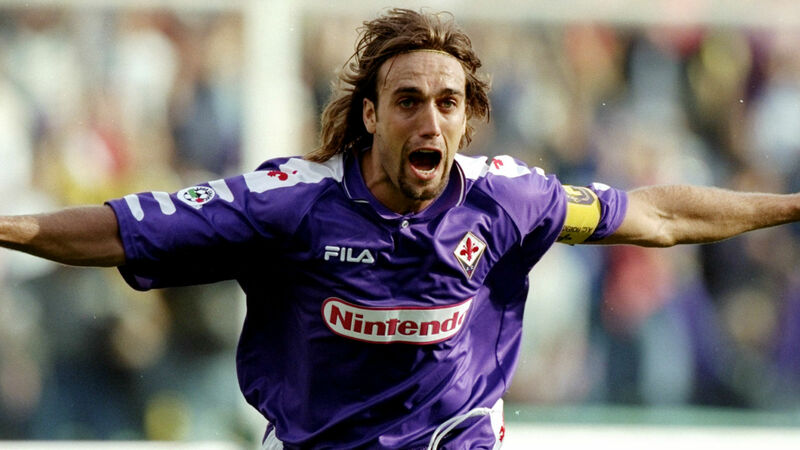 Batistuta’s Fiorentina side won the Coppa Italia in 1996, and throughout his career he played alongside the likes of Rui Costa, Lorenzo Amoruso, Stefan Schwarz and goalkeeper Francesco Toldo. The team may not have had the star power of Juventus or the Milan sides, but they hold a special place in the hearts of football fans. The now-47-year-old Batistuta was visibly emotional throughout his comeback game, but still showed that class is permanent by netting a hat-trick.